"One day, two wooden boats, one rubber dinghy, one helivac, over a thousand people rescued by three ships, and fifty-two perfectly senseless deaths." 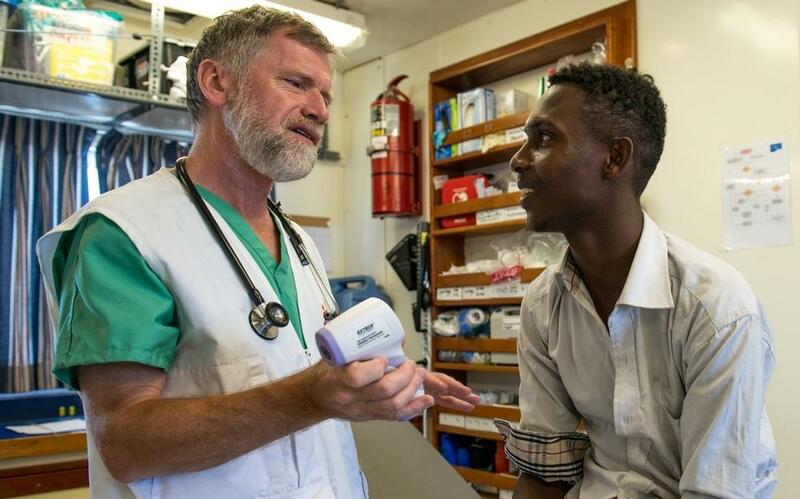 On the latest episode of Everyday Emergency, Canadian doctor Simon Bryant discusses his time on board an MSF search and rescue ship in the Mediterranean. 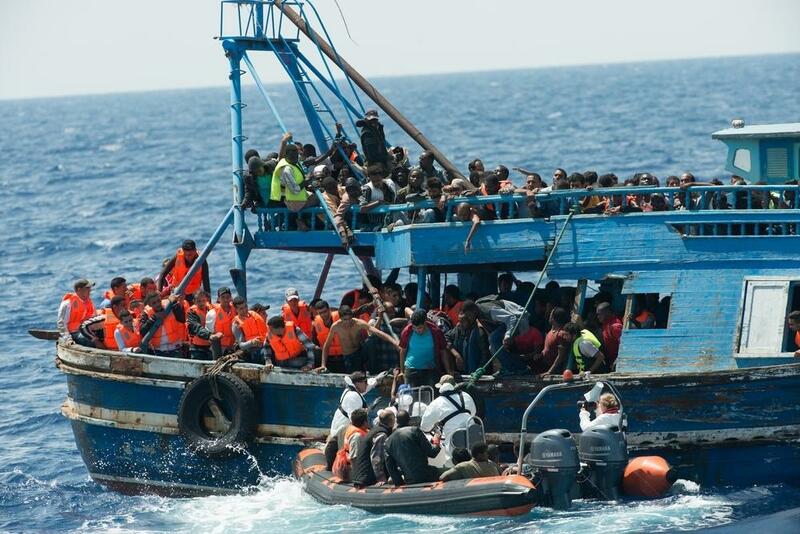 The story heard in this week's episode comes from a blog Simon kept while aboard the Phoenix, a ship MSF ran in partnership with Migrant Offshore Aid Station. This extract is taken from 'Yet again', published 31 August 2015. Read more about Simon's time on the Mediterranean in our 'Moving Stories' blog about the European refugee crisis. 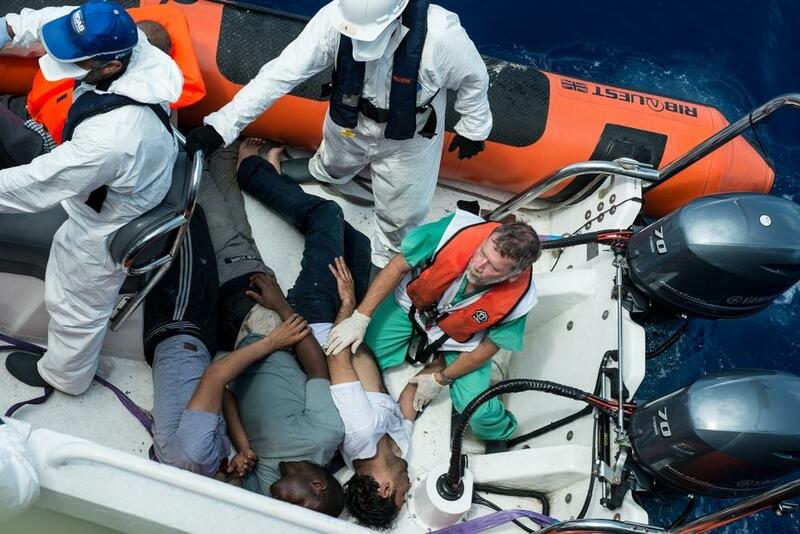 Dr Simon Bryant assists in the transfer of 3 unconscious people from the wooden fishing boat to the Phoenix. Gasoline fumes caused many people to lose consciousness during the journey. 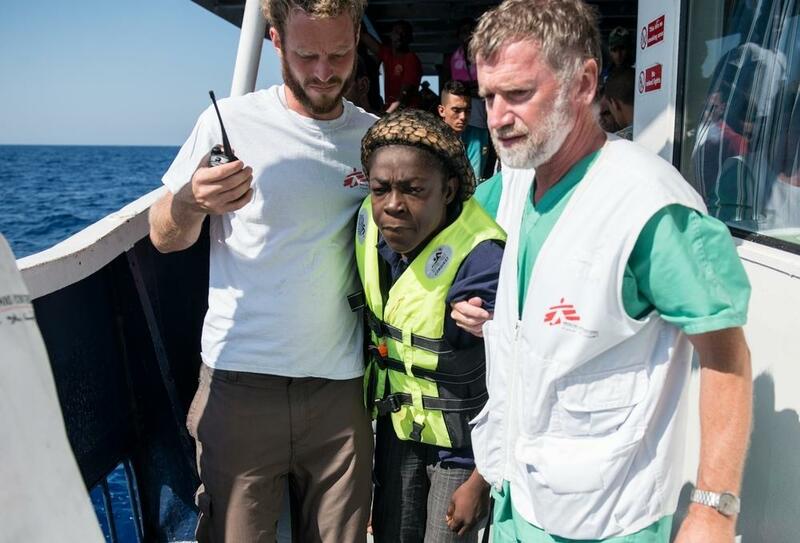 Medical doctor Simon Bryant visits a patient rescued earlier by the MOAS team. The wound was the consequence of a beating in Libya The clinic on board the Phoenix allows for a wide range of medical activities.